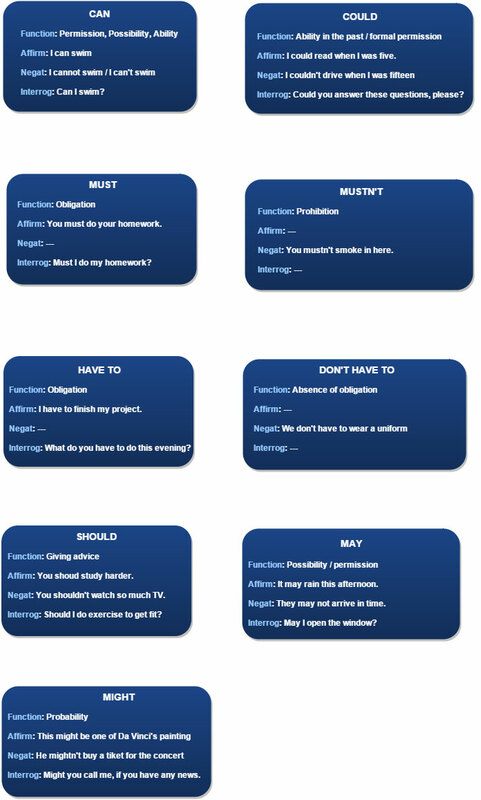 Modal verbs are a subset of helping (auxiliary) verbs. One might wonder what modal verbs help us do. The answer to that is that modal verbs help English speakers to express probability, ability, obligation, advice, permission, and habits.